A 5-minute walk from Surasak BTS Skytrain Station, Le Platinum Residency features 2 restaurants, a tour desk, and a 24-hour reception. 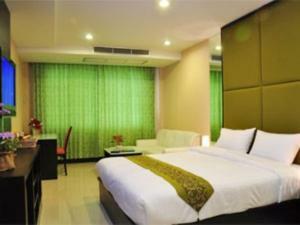 It offers rooms with leather sofas and flat-screen TVs. 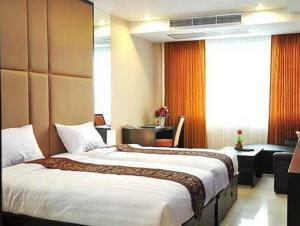 The air-conditioned rooms are fitted with dark wood furniture and upholstered wall panels. 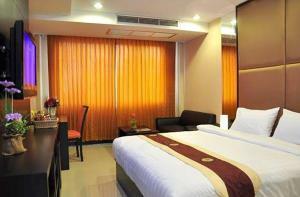 Each room has a DVD player, a safety deposit box, and tea/coffee making facilities. 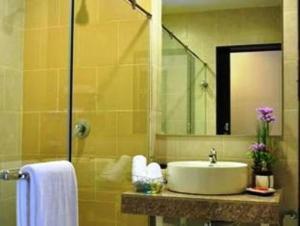 The private bathroom offers a hot shower. 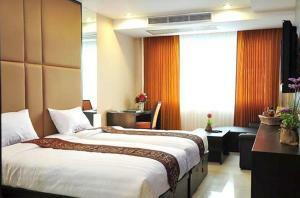 Located in the heart of the Silom area, Le Platinum Residency is within walking distance of Patpong Night Market. Guests can enjoy a relaxing massage at the hotel. Other services include laundry and dry cleaning. Free Wi-Fi is provided in public areas. The 2 restaurants offer Thai and Indian cuisine, while drinks are available at the bar. 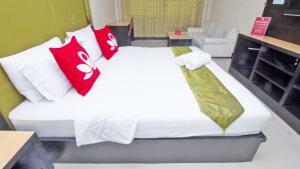 Guests can also order room service, or find more dining options around the hotel. This room features a sofa, a flat-screen TV, and a DVD player. Also includes ironing and tea/coffee making facilities. 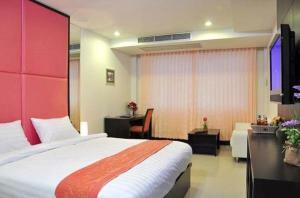 Rate: THB 1250.00 ... THB 1523.30; select dates below to get current rates.